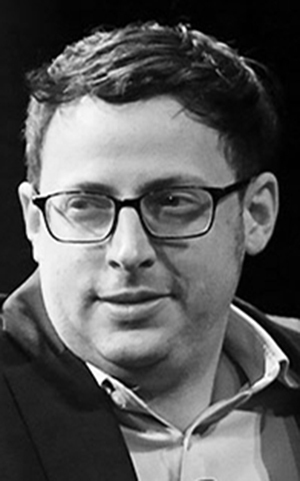 Nathaniel Read "Nate" Silver (born January 13, 1978) is an American statistician and writer who analyzes baseball and elections. He is currently the editor-in-chief of ESPN's FiveThirtyEight blog and a Special Correspondent for ABC News. Silver first gained public recognition for developing PECOTA, a system for forecasting the performance and career development of Major League Baseball players, which he sold to and then managed for Baseball Prospectus from 2003 to 2009. A lot of journalism wants to have what they call objectivity without them having a commitment to pursuing the truth, but that doesn't work. Objectivity requires belief in and a commitment toward pursuing the truth- having an object outside of our personal point of view. A lot of news is just entertainment masquerading as news. Caesar recognized the omens, but he didn't believe they applied to him. Every day, three times per second, we produce the equivalent of the amount of data that the Library of Congress has in its entire print collection, right? But most of it is like cat videos on YouTube or 13- year-olds exchanging text messages about the next Twilight movie. I don't play fantasy baseball anymore now because it's too much work, and I feel like I have to hold myself up to such a high standard. I'm pretty serious about my fantasy football, though. I think it's odd that people who cover politics wouldn't have any political views. If you have reason to think that yesterday's forecast went wrong, there is no glory in sticking to it. If you're keeping yourself in the bubble and only looking at your own data or only watching the TV that fits your agenda then it gets boring. In politics people build whole reputations off of getting one thing right. People attach too much importance to intangibles like heart, desire and clutch hitting. People don't have a good intuitive sense of how to weigh new information in light of what they already know. They tend to overrate it. People gravitate toward information that implies a happier outlook for them. Success makes you less intimidated by things. The problem is that when polls are wrong, they tend to be wrong in the same direction. If they miss in New Hampshire, for instance, they all miss on the same mistake. The public is even more pessimistic about the economy than even the most bearish economists are. The thing that people associate with expertise, authoritativeness, kind of with a capital 'A,' doesn't correlate very well with who's actually good at making predictions. The way we perceive accuracy and what accuracy is statistically are really two different things. We want to get 80%-85% of predictions right, not 100%. Or else we calibrated our estimates in the wrong way. You don't want to influence the same system you are trying to forecast.